It is featured on the soundtrack for Transformers: Revenge of the Fallen, and can be heard in the background during a party scene in the film. An instrumental version of the song was played when the Kansas City Royals' starting line-up was introduced during home games in 2009. The song was also used by the 2009 Colorado Rockies, and 2010 Baltimore Orioles as the players took the field. The song is also featured in video game NHL 10, and was used as the theme song for WWE Raw from November 16, 2009, until August 6, 2012. UFC fighter Ben Rothwell and former WWE star Carlito have both used it at their entrance music. It was also featured in Jersey Shore's second season. ↑ "Nickelback: Dark Horse". Toronto Star. Retrieved 1 July 2015. ↑ "WWE "Nickelback and WWE team up for new Raw theme" | November 9, 2009". Wwe.com. 2009-11-09. Retrieved 2012-02-09. 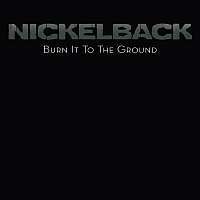 ↑ "Nickelback - Burn It To The Ground - 22.5.09 - MEN Arena". YouTube. 2009-05-22. Retrieved 2012-02-09. ↑ Steffen Hung. "Finnish charts portal". finnishcharts.com. Retrieved 2012-02-09.